Bingo Cafe – get £20 of FREE bingo credit – no card details & no deposit required! 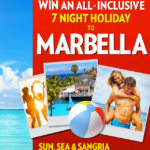 Win an all-inclusive 7 night holiday to Marbella! A luxury ALL INCLUSIVE sunshine holiday to Marbella including flights from either London Gatwick or Bristol (alternatively you can have £2,000 cash) …click the image to enter! Complete the Research Opinion Poll survey for your free entry. 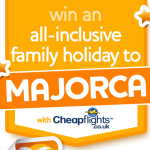 Win an all-inclusive family holiday to Majorca for 7 nights including flights! 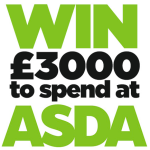 Win the new iPad 4 worth a whopping £399! Win a Christmas break for 2 to New York City!